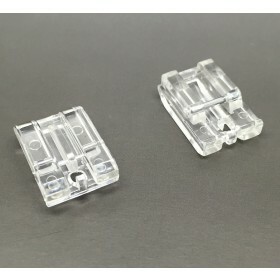 This is a Universal type High shank foot bracket for Clip On or Snap On type Sewing Feet. If you have a sewing machine with a High Shank. 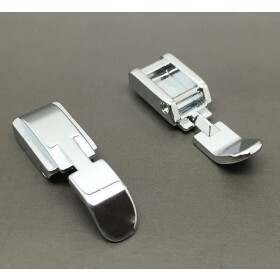 You can replace the foot with this bracket and then you will be able to use most clip On type feet. 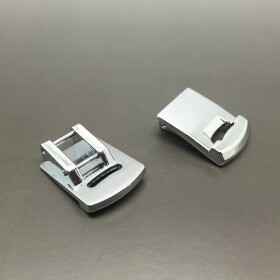 Please when buying this Bracket, if you are going to try changing to a clip on type foot ensure that your sewing machine is SWITCHED OFF BEFORE you try to see if it will fit. 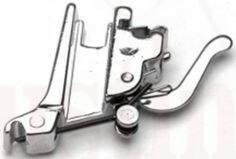 Once you have fitted the short shank bracket turn the Hand Wheel anti clockwise manually to make sure that the needle misses the foot. 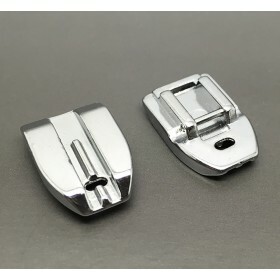 With this Hight shank bracket fitted you will now have a huge range of accessories to choose from. We at Austin Sewing Machines have a 100% money back guarantee for customer peace of mind. If this item does not fit all you need to do is return it to us in the condition you receive it and we will fully refund you.